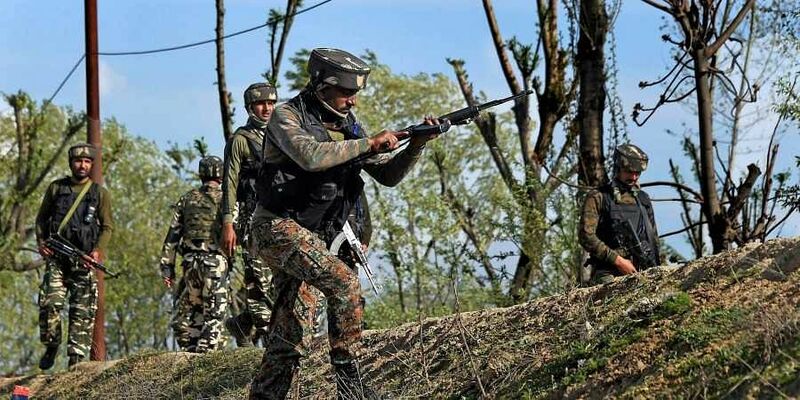 CRPF commandant of 187th bn Harinder Kumar said three jawans were killed and the one who shot them was critically injured in the fratricide incident. SRINAGAR: In a fratricide incident, a CRPF jawan in a fit of anger shot dead three of his colleagues before shooting himself critically inside a CRPF camp at Battal Ballian area in Udhampur district of Jammu and Kashmir late last evening. The deceased jawans have been identified as Pokarmal R of Jhunjhunu, Rajasthan; Yogendra Sharma of Delhi and Umed Singh of Rewari, Haryana. Constable Ajit Kumar of Kanpur, who fired at his colleagues with his service rifle before also turning his gun towards himself, is undergoing treatment in the hospital. Sources said constable Ajit Kumar fired on his colleague after some verbal duel late last evening. “In a fit of anger, he fired from his service rifle towards his colleagues, causing on spot death of three of them. As other CRPF men present in 187 bn CRPF camp at Battal Ballian area ran towards the spot to ascertain reason before shooting, the jawan also fired towards himself. He was later overpowered by his colleagues and taken to hospital,” they said. A CRPF official said CRPF has launched an inquiry to ascertain reason behind the incident. Police has also registered a case and taken up investigation. According to sources, firing inside the camp had caused panic among the CRPF personnel, who thought that militants had attacked the camp. As the CRPF men rushed to the spot, they came to know that it was a fratricide incident.